Experienced Tent Camper? Or first time trying tent camping? Either way you will love this Glamorous Platform Tent! Sleep in a beautiful hand crafted bed with amazing views and enjoy the starry night and sunrise from your bed! 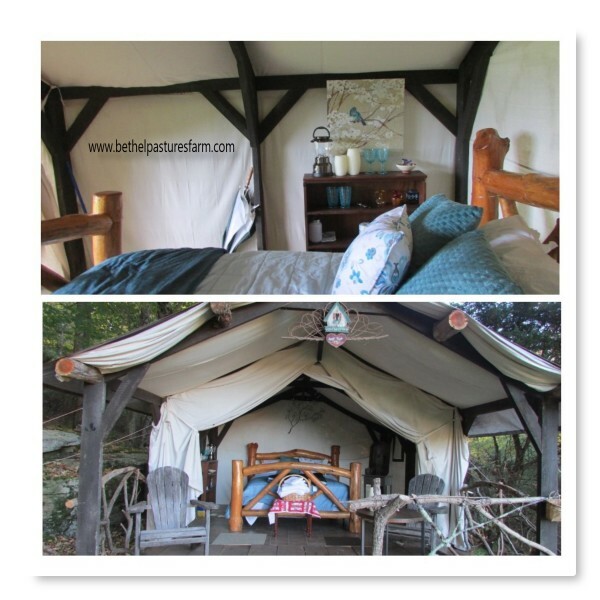 Tent includes, fire pit and grill, firewood, pots, pans, dishes, silverware,linens, towels,lamp, mosquito net our solar powered battery for charging for your phone, laptop, camera light and cozy romance all in your very own private spot on our 52 acres.